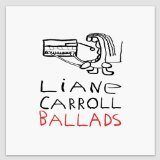 Liane Carroll’s new album Ballads leaves you utterly wrung out in the best possible way. Her soulful treatment and sublime phrasing discover previously uncharted nooks and crannies in this elegant selection of standards and torch songs, interspersed with a bit of Todd Rundgren (“Pretending to Care”), Carole King (“Will You Still Love Me Tomorrow”) and Buddy Holly (“Raining in My Heart”). Like a plume of smoke rising from a midnight cigarette, her voice sends these much-loved lyrics spiralling into the air, where they mingle and conjure bittersweet images of love and loss – mainly loss, it must be said – that vibrate with authenticity. As a vocalist, Carroll is emphatically her own woman. Instinctive and inventive, she laces familiar words with underlying melancholy, and barbs of experience and wisdom, inhabiting the melodies and teasing them in unexpected directions. If I draw comparisons with Sarah Vaughan and Carmen McRae, it’s only because she clearly belongs in such exalted company. Under James McMillan’s production, her talents are brilliantly matched with spacious yet intimate, modern arrangements – mostly by Chris Walden – and an eloquent band that includes pianist Mark Edwards and saxophonist Kirk Whalum. The chemistry between Carroll and her musicians is well illustrated by “Calgary Bay”, a sweeping original number by Sophie Bancroft. “Here’s to Life” and “Only the Lonely” become epics with an almost cinematic quality. “My One and Only Love” and “Mad About the Boy” are reinvented as languorous threnodies. Strings abound, but discreetly, never overwhelming Carroll’s voice as she steers a steady, assured course through each number. Not for her the frills and melismatic swoops that pass for singing in most 21st-century pop music. So when she does let rip – in a devastating take on “Pretending to Care”, for example – it is thrilling to hear, and deeply affecting. There is more dark than light in these choices. 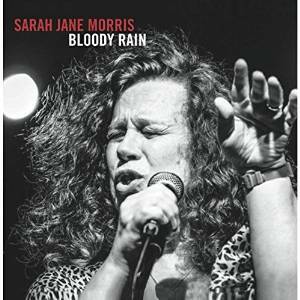 The pace is thoughtful and serious, absorbing, rolling with disappointment and betrayal rather than railing against it: grown-up readings which take a 360-degree view of the lyrics, opening them up into a tapestry of life experience. The year is yet reasonably young, but it will take a lot for another album to beat Ballads for sheer class and simple artistry.